How to use whitening kits? There is no definitive way to describe how to use, every different type of teeth whitening kit in one page, as there are lots on the market from many different brands to choose from, often with many different ways to administer the product. At Teeth Whitening Shop we are constantly looking to offer the latest innovations in teeth whitening from many of the largest brands on the market as well as start ups. Teeth whitening kits come in many variations, the most common are teeth whitening pens and gels, bleaching trays and LED light treatment. In most cases when using a teeth whitening kit the main ingredient, which whitens your teeth will be inside the gel in the form of Carbamide Peroxide or Hydrogen Peroxide. All teeth whitening treatments work better with clean teeth, it is therefore generally recommended to brush teeth and rinse before use. Some whitening kits have pre-treatment to clean teeth to ensure they are ready to be whitened effectively. In most cases a user will have either brush the gel onto the teeth from a pen or will put the gel on the inside of a bleaching tray and then adhere the tray to teeth for a period of time. Normally the gel either from a whitening pen or bleaching tray will be required to stay on the teeth for a period ranging from 30 minutes – 2 hours. This is often enough to make an impact on the colour shade of teeth, as a company Teeth Whitening Shop recommend thinking of teeth whitening as an ongoing process, with which there are generally no overnight measures to improve colour shade quickly. This is reflected in the fact that most teeth whitening kits using a gel will take a couple of weeks on average to see a difference. Some teeth whitening kits will speed up this process by using LED light to work with the gel already working on your teeth. As you can see from the picture on the right teeth whitening treatments are often done by trained professionals in a clinic or dentist by using an LED light machine, which is sometimes called laser whitening. The basic idea is the whitening gels work a lot faster as they are activated by the LED light causing a reaction to the surface of your teeth which will remove discolouration. Instead of teeth whitening course lasting several weeks it can be finished a week. 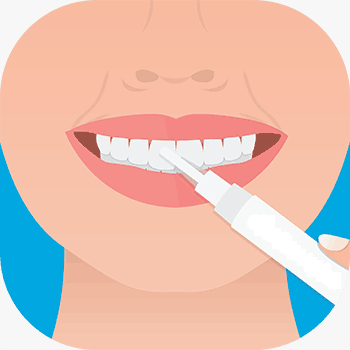 At Teeth Whitening Shop we like to offer innovative products which you can use at home. 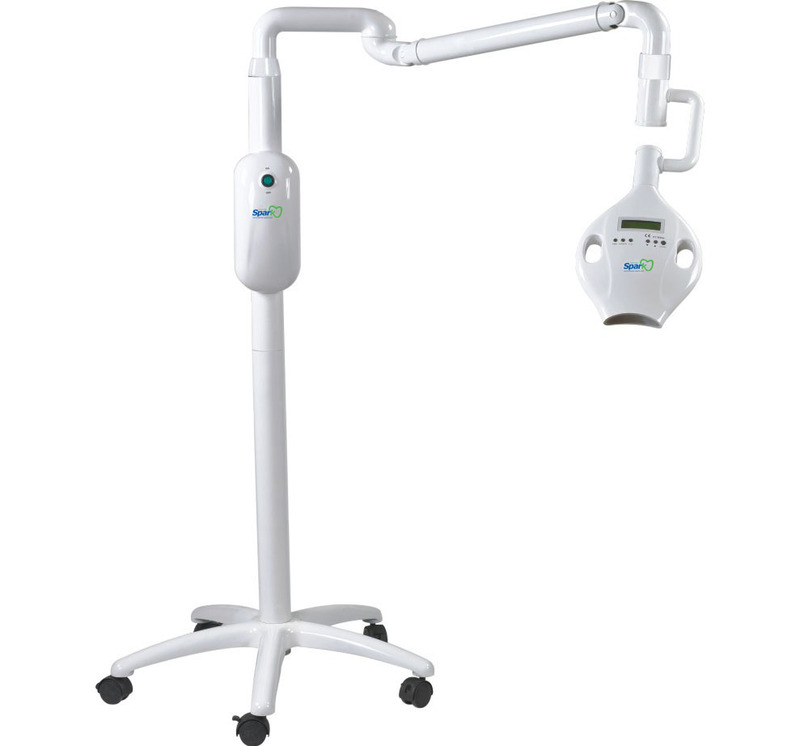 The Snow White 7 Day professional Kit uses a 3 part gel system and a home Cold Blue 5 LED light system which gives a better reaction to the gel than the lights you would normally find in a clinic.